Where is the love for Des Moines’ insurance industry? The Equitable Building defined the Des Moines skyline for decades. Now it’s done by The Principal Financial Group’s 801 Grand and the EMC building. All three were built by insurance companies. On paper, the insurance industry looks like the professed dreams of our civic and state leaders. First of all, it’s a fabulous jobs producer and a creator of fabulous jobs. A survey last year published in USA Today noted that the college degree that produced its earners with the highest average starting salary was one in actuarial sciences. The wealth spreads well, too. An 18-year-old friend just began a part-time clerical job at a suburban life insurance company. She works three days a week and is compensated with a $17.50 an hour starting pay, full benefits and assistance with college tuition. Unlike agriculture, no one ever accuses insurance of poisoning the Gulf of Mexico, ruining the drinking water of Des Moines, driving rural residents away with noxious odors or threatening the ozone with methane gas production and fuel alternatives that could not exist without heavy subsidies. It’s also a healthy industry. Iowa companies are leaders in green construction and produce nothing that is linked with obesity, like corn sweeteners are. The insurance industry is also mostly above-board and law-abiding. I have never heard of an Iowa insurance company being raided by Homeland Security, Immigration and Customs Enforcement, or the Department of Labor. Nor any of them ever being shut down to clean up environmental or health risks. Local insurance companies are remarkably generous to the state’s nonprofit and arts organizations. Look at most any list of the “golden donors” to operas, museums, ballets, symphonies, etc., and you will notice that Principal and others are usually up there. The industry is sounder than most all financial industries. Because insurance needs liquid investments to cover sudden disaster liability, it fared much better during the real estate and stock market debacles of 2008-09. 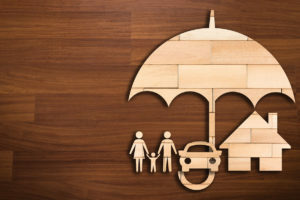 What’s not to love about the insurance industry? 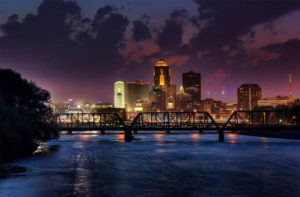 The Equitable Building defined the Des Moines skyline for decades. Now it’s done by The Principal Financial Group’s 801 Grand and the EMC building. All three were built by insurance companies. Iowa and Des Moines don’t seem to appreciate the blessings that have made the state and city one of the top centers in the nation. Where is our Insurance Museum? We have museums to agriculture (World Food Prize building, Living History Farms), threshing (Old Threshers museum), tractors (The Grout, Tractor Showcase), ice cream (Blue Bunny), railroads (Boone & Scenic Valley, Cannonball 457), milling (Danish Windmill), ice (Ice House Museum) and mining (Melcher Dallas Coal Mine). Some of those industries are represented by a dozen or more museums in the state. The railroads and the mining industries don’t have much of a future here. Threshing, by humans at least, has been restricted to poetry since World War II. The Iowa Historical Society museum used to have a display on the insurance industry. It was there long enough that some thought it was permanent. It’s been gone for years now. Only the railroads are imbued with more romantic, commerce-driving history. Does anyone miss the glory days of the coal mines or ice houses? From its origin in 1686, modern insurance enabled world commerce, international trade, democracy and shipping to thrive and change the lives of nearly everyone in the world. Think about this. Before 1686, shipping was mostly financed by kings and governments. Columbus went from Genoa (where the first insurance policies were sold in the 14th century) to Sevilla to beg commissions from royals. No one else could afford to underwrite the costs of The Age of Discovery because the risks were huge. That’s why Columbus had three ships on his first voyage to America, to balance the odds of making a return on Ferdinand and Isabella’s investment in the young Italian navigator’s dreams and rare knowledge of the trade winds. This kind of risk management had been going on since the ancient times in Mesopotamia and Carthage. But insurance, particularly business insurance, was not readily available until the late 1880s. 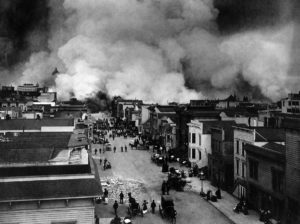 The San Francisco earthquake caused many insurance companies to lose a great deal of money for the first time, but it created an opportunity for Edward Lloyd. “As far as I have heard, and I have no reason to doubt it, the insurance industry began with Lloyd,” says Susan Voss, former Iowa Insurance Commissioner and now general counsel at Des Moines’ American Enterprise Company. What Lloyd did was change the world, for better and worse. The coffeehouse soon became recognized as the best place to buy marine insurance. The shop was also frequented by mariners involved in the slave trade. Because of Lloyd’s expertise at defining the difference between “natural death” and “perils of the sea,” Lloyd’s obtained a monopoly on maritime insurance related to the slave trade and maintained it until the early 19th century. What insurance also did was begin a shift of wealth and power from monarchies and governments to individuals and corporations. These groups would buy shares in an expedition, sharing the risks and rewards of world commerce. This was a time when chocolate, coffee, tea and sugar were becoming obsessions in Europe, and great fortunes were awaiting ships to bring them home. Lloyd’s big breakthrough in the United States came with the San Francisco earthquake. The company lost a lot of money on the earthquake and resulting fires at a time when foreign insurance companies were viewed suspiciously in America. Lloyd’s agent, Cuthbert Heath, famously instructed his San Francisco agents to pay every policy in full. Other companies were not as generous, and Lloyd’s reputation in America was insured. Ebenezer Jared Ingersoll is rumored to have convinced his card-playing buddies to help him bring the first insurance company to the state. The Iowa insurance industry also carries some romantic history. There are multiple possible origins. 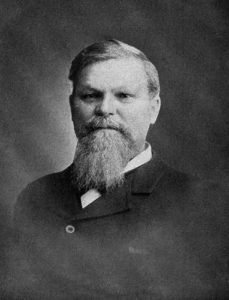 The legend of Ebenezer Jared Ingersoll, for whom Des Moines’ Ingersoll Avenue was named, includes one in which the bon vivant won an 1865 game of whilst (a game similar to bridge) in which he convinced his card-playing buddies to help him bring the first insurance company to the state. The Hawkeye Fire Company, later Hawkeye Insurance, made it possible to insure property in Iowa with money that stayed in Iowa. “There is an urban myth, which I have no reason not to believe, that all insurance companies in America refused to cross the Mississippi River then,” says Voss. Another “first” story is that it began in Iowa with the establishment of Equitable Life Insurance Company in 1867 by 14 investors, including current gubernatorial candidate Fred Hubbell’s great, great grandfather. Farm Bureau Financial Services outdates both Hawkeye and Equitable in Iowa, but it didn’t call itself an insurance company till later. Before the Civil War, there was great commerce crossing the Mississippi and Missouri rivers. After the war, railroads crossed and opened Iowa up to a golden age of commerce and wealth accumulation. Local insurance kept that money in the state rather than shipping it back east on trains. That helped finance more Iowa farms, mines, railroads, mills and banks. Probably an ice house or two, too. Different kinds of insurance followed, with equities, tornados, grain mills, farms and other specific companies coming to Iowa. Retired Homesteaders Life CEO Graham Cook says that diversity is confusing and perhaps a distraction for the industry when it comes to greater notice in Iowa. “The insurance industry here is not one thing. It’s life insurance, property casualty insurance, health insurance, liability insurance, death insurance, etc. And there’s not natural cross pollination among them,” he explained. “Insurance is like a funeral home director. You don’t care about it until you need it,” he added. Still, when one hears talk of insurance centers, Des Moines’ name usually pops up second after Hartford, Connecticut. The gap is closing, too. Hartford has lost more jobs in the last 23 years than Des Moines had 23 years ago. While they bleed jobs, Des Moines gains them. Even though the number of companies here is down, the jobs numbers are up. “We have lost a number of jobs in Des Moines, mainly to West Des Moines, though,” explained Cook. “Iowa is very attractive to the industry. Regulations, low premium taxes, good affordable living all attract people. Regulatory legislation is proactive and does a lot of good,” he continued. Cook says that some companies come to Iowa to open “headquarter” offices with skeletal staffs. Voss says that that is highly discouraged. “We tell them that, to take advantage of being domiciled in Iowa, we expect them to bring jobs. When Terry Vaughn was insurance commissioner, companies who tried to do this were rejected,” he says. Voss says it’s not as easy to attract workers as one might think. “I used to speak to risk management students at the University of Iowa. They just weren’t interested in coming to Des Moines. There’s a lot more for young people to like in Iowa City, I guess,” she recalled. What can be done to improve the image of the industry within Iowa? Part of the problem might well be the nature of Iowans. In a recent study of “collective narcissism,” the tendency of people to overrate the significance of their group, people in all states were asked, “How significant do you think the accomplishments of your state have been to the nation?” Iowa ranked dead last. We don’t like to brag here. In fact, we tend to embrace our heritage most when it comes with a dose of cynicism. “I really wish that, when caucus season comes around, they would quit using silos in every cover shot,” says Voss. Even sophisticated companies, like Meredith, host caucus season events with bales of hay and red bandanas. The most popular event in the state is the Iowa State Fair. We have not been a rural state for more than seven decades, yet we can’t shake that identity. We even embrace Bill Bryson for portraying us as hicks who ride escalators for entertainment. Cook says two things have made good runs at polishing the insurance image. Center, can replace it. A brainstorm of Nick Gerhart, another former insurance commissioner, it brings in top-notch speakers and attracts bigger crowds each year. Cook says it aspires to be the World Food Prize of insurance. While that agriculture event attracts huge media interest, a food festival and colorful banners lining downtown streets, GIS is so unknown locally that when Cook and I told Des Moines Mayor Frank Cownie we were talking about raising its profile, he asked us what it was and when. “We don’t get the respect that agriculture does. Part of the problem is that we don’t have a Farm Bureau, a single agency that speaks for an entire industry,” says Voss. “We don’t have a coordinating message, like ‘the other white meat.’ Media doesn’t cover business anymore. That last insurance writer at The Des Moines Register was long ago. We have all kinds of talented women in the industry, but only one company, American Equity, has ever had a female CEO,” Voss says. Voss plays a loop of movie scenes about insurance to various groups. “To Catch a Thief,” with Cary Grant and Grace Kelley has a scene where Grant mentions insurance to a guy who responds, “Isn’t that betting?” “No, it’s high stakes gambling,” says Grant. There’s even a hilarious scene in “The Incredibles” where Craig T. Nelson tries to help a woman file a claim. Has there been a movie about the insurance industry? “ ‘Cedar Rapids’ with Ed Helms and Sigourney Weaver is a very funny one. I think John Grisham wrote one that was made into film,” Voss says. The greater Des Moines area features a finance-insurance sector boasting an annual payroll of more than $3 billion. Some of the city’s biggest Insurance companies are listed below by number of employees. 1,011 FBL Financial Group, Inc.
Maybe we have no love for the Des Moines insurance industry for the very elegant buildings Duncan lists in the second sentence of the story. Insurance companies may give to charity, support the arts and provide some people with wonderful career paths, but those buildings literally and figuratively stick out as monuments to themselves, a semi-vulgar display of the wealth these insurance companies possess. My particular favorite is the “papal balcony” on the Wellmark building. There is no Insurance Museum because there is no Des Moines Museum of which it would be a part. Insurance is important to Des Moines, but other industries have been also and there are great histories about the government, transportation, construction, stores and other entities which have supported those businesses and their employees and all of these stories need to be told. The Des Moines Historical Society organized in 2009 and the Des Moines Heritage Trust has purchased the former East Union Depot on East Fifth Street just south of Court Avenue to begin a small museum about Des Moines. The depot was built in 1909 by Frederick C. Hubbell for the Des Moines Union Railway. Keep in mind that all Des Moines suburbs have museums as do most counties in Iowa and many of the other large cities. We ask that those interested in a Des Moines Museum consider purchasing a brick or making a donation of any amount to help the efforts. Further information may be obtained from the DMHT website of http://www.desmoinesheritagetrust.org and the Facebook page of the Des Moines Heritage Center.